Hbl Power Systems Limited - Manufacturer of ac & dc motors, nickel-cadmium battery & silver zinc batteries since 1977 in Hyderabad, Telangana. 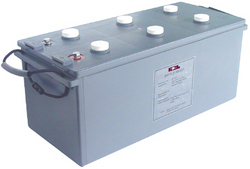 Nickel-Cadmium battery is the most reliable battery system available in the market today. Its unique features enable it to be used in applications and environments untenable for other battery systems. That is why Nickel-Cadmium batteries have been the first choice for users looking for very reliable, long life, and low maintenance system. Depending on the technology of the electrode manufacturing, there are the many constructions of nickel-cadmium batteries, Please see table on the left bar. Hbl manufactures specialized silver zinc batteries for torpedo - practice and combat versions. We supply our batteries to many special projects in india and international markets.we also manufacture silver zinc batteries for starting applications of aircraft engines and as a auxiliary back-up power source. Aircraft batteries are approved by centre for military airworthiness certification (cemilac), ministry of defense, govt. Of india (mod). (b) natural cooling facilitates to work in humid and dusty environments. (9) light weight hence easy to carry. (d) the built in protections like over voltage, under voltage, output over voltage, shortcircuits and reverse polarity make it practically hassle free maintenance. the “charger battery 2kw” commercial is a rugged and compact with pwm mosfet based high frequency technology. 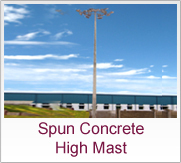 It is designed and manufactured by m/s hbl power systems ltd. It operates either from ac mains with an input of 230v,+15%,-20%,single phase,50hz or from any generator set of adequate capacity. The charger gives six individual dc output for charging six batteries at a time. The output of a,b,c&d modules is rated at 6. 0- 28. 5v/17. 5amps, “e” module output is rated at 2. 0 - 28. 5v/2amps, “f” module is rated at 2. 0- 28. 5v/ 1amp. 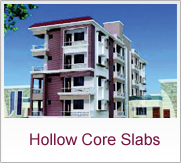 This is as per hbl spec. 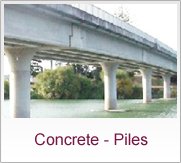 No: hbl/pe/2kw/2009 and complying to the governing spec. No: cqal/635c. The charger is equipped with control knobs for adjusting dc output for each module by which we can charge any type of batteries. 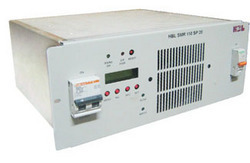 Our Power Saver is an integrated system equipped with a micro controller based regulator which monitors Voltage, Current, Power Factor and Current threshold. Introduces low-loss impedance path between the source and the load which causes maximum power transfer in the circuit that results in substantial saving in power consumption upto 30%. The HBL Solar charge controller incorporates a dynamic Maximum Power Point Tracking (MPPT) algorithm designed to maximize energy harvest from the PV array. The MPPT constantly adjusts the operating points of the array to ensure it stays on the maximum power point. While charging, it the XW SCC regulates battery voltage and output current based on the amount of energy available from the PV array and state-of-charge of the battery. 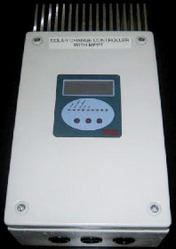 The HBL Solar Charge Controller can be used with 48,96, and 110-volt DC battery systems. The HBL make electronic discharge banks are manufactured using solid state devices such as igbts. Usage of this power electronic control devices extends the flexilibility of battery discharge at constant current irrespective of the battery discharge voltage . IGBT (insulated gate bi-polar transistor), diode, and inductor & resistor in conjunction with control & switching circuit are used in discharge to maintain the constant current when it is discharging battery. The all new HBL Battery charger uses 16 Bit DSP Controller for switching and control of Thyristor for achieving desired DC output. The charger output voltage, output current and battery current, including battery temperature compensation are controlled by the Digital Signal Processor. The charger output parameters can be set or adjust through keypad-display provided on the front panel. It has communication ports for local monitoring using a PC and also remote monitoring of measurements and events as well as event history. Switch Mode power Supply modules of series SMR 110SP20 are compact battery charging rectifiers with an optimized switching principles and therefore with very high power density. The rectifier can be used in all DC applications with or without battery. Due to modular concept and high scalability the user is able to equip the power supply with additional modules according to his actual power profile. The chargers are very user-friendly. The devices get their operation parameters through communication-bus between module and SCU. Therefore, the supply of the connected loads and the charging of the batteries are guaranteed without any interruption. Single-Phase module with Sinusoidal input Current(PFC). Front-to-Back airflow with temperature controlled fan cooling. 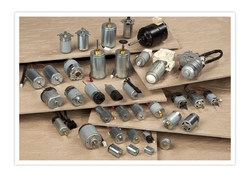 Wide range of input 150Vac ~ 275Vac at rated power. A DC to DC Converter is a circuit which converts a source of direct current (DC) from one voltage level to another. In many applications, there is a need to convert one DC Voltage to another DC Voltage, either increasing or decreasing it. This is the role of a DC/DC Converter. Our UPS system utilizes the state of art space vector theory with pulse width modulation technology which reduces the switching losses by limiting the switching to the two third of the pulse duty cycle. As the pwm signals have to be calculated in real time, by using space vector modulation the calculation process is simplified and hence less computing time is required which results in better performance. 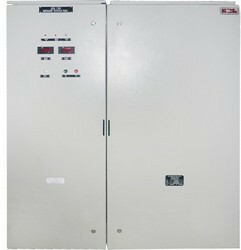 The system configuration can be a double conversion online type with isolation transformers at both grid and load side. The load shall normally fed by the inverter through the static switch. Provision can be given for paralleling of the systems. Space vector techniques gives full use of dc voltage ceiling and lowers the dc currents. 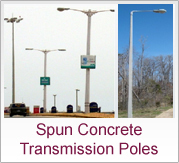 This gives lower cost of complete power stage and magnetics. Control is approximately 10 times more accurate than conventional pwm methodologies. Our systems use a multilayer dsp control with 12 bit analog sampling. This products high accuracy and subsequent smoothness of power flows. Advanced battery monitoring is an innovative battery monitoring system where power and system availability are critical to successful business operations. It smartly operates by preventing costly downtime due to unexpected battery failures. Abm has been designed to monitor individual cells up to 15v & control the charge/discharge operations on battery systems ranging from 24v. 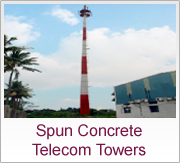 It is designed for varied requirements such as stand-alone/networked models. The solar powered shelters carry batteries that expose them to higher temperatures. 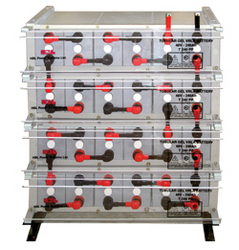 Net result is the need for a heavy duty, robust, deep cycling battery that is also less sensitive to high temperature. To meet such rigors of temperatures and varying patterns of usage, HBL introduces "Tubular Gel VRLA Battery" with unbeatable combination of Tubular plate and gelled electrolyte. Suitable for Air launched Combat Torpedo AT 1 ME. Suitable for russian torpedo CET (Combat). HBL silver oxide zinc batteries are used for instant starting of aircraft engines and as a back-up power source. Approved by centre for military airworthiness certification, ministry of defence, govt. Of india. 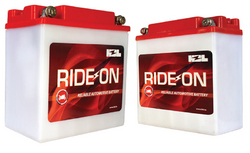 The Pure Lead-Tin range offers the customer the highest energy density of any lead acid battery anywhere. The battery is constructed around a complex thin plate, pure lead-tin grid which packages more power in a smaller space. The plates being made of high purity lead last longer, offering excellent life. The proven benefits o this superior technology are high performance, quick recharge capability, high energy density and a long service life. The 6V & 12V monoblocs are available in capacities ranging from 12Ah to 150Ah. HBL manufacturers a wide range of Isolation transformers for protecting the sensitive loads from various type of power problems like electrical noises, harmonics, spikes etc., Many of the sophisticated machineries, laboratory equipments, automation equipments, telecom switching equipments require a fully isolated power for protecting them from a varied kinds of electrical impulses, noises. HBL offers DSP controlled IGBT based Chargers which utiliz the latest state of art Space Vector theory with Pulse Width Modulation technology. 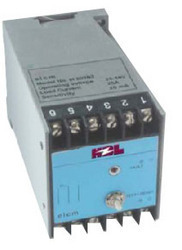 This reduces the switching losses by limiting the switching to the two third of the pulse duty cycle. These chargers are built to provide constant DC source to the customer's critical applications as well charge the batteries. The Charger is of current limited type with two levels of charging the battery. These levels are float charging and boost charging levels which essentially designates the band voltage levels that can be set as per charging requirement of the battery. 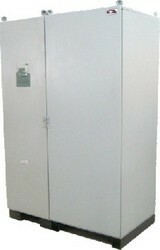 Output voltage regulation is achieved by controlling the IGBT. The charger can provide constant voltage power to the load with simultaneous boost charge to the discharged battery. The current limit can from 10% to 90% of the charger output capacity. We design & manufacture regenerative chargers for any type of battery charging / discharging needs, during discharging the battery will be connected to the output terminals of the charger in reverse mode and the battery will start discharging with a constant current into the Thyristor bridge which converts DC into AC and feeds to the AC mains. The regenerative charger will have automatic charging facility in constant voltage and constant current modes. 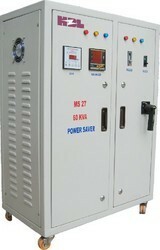 In discharges mode it saves upto 50% Energy by pumping the power back in to grid.